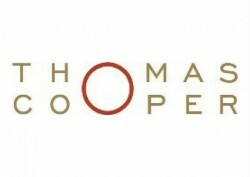 Thomas Cooper’s Sports Group was set up in 2005 and is ranked by Legal 500, as one of the UK’s leading sports practices. The team regularly works with intermediaries, footballers, rugby players, top level managers, coaches and sports executives on contentious and non-contentious issues. Our work includes player transfers, playing contracts, image rights agreements, disputes between players, agents and clubs, player disciplinary issues and employment issues relating to employment in sport. The team also advises on doping offences and has a diverse multi-national client base. Thomas Cooper’s practice focuses mainly on football and employment related sports issues, both in England and across Europe. Thomas Cooper’s multi-disciplinary sports team has the ability and a proven track record of successfully negotiating deals and litigating problems for our clients. The team has extensive experience in dealing with the detailed negotiations necessary in player transfers and playing contract renegotiations at the very highest level.